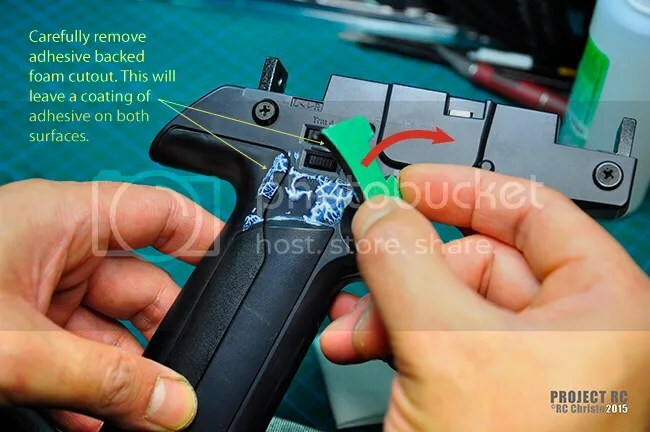 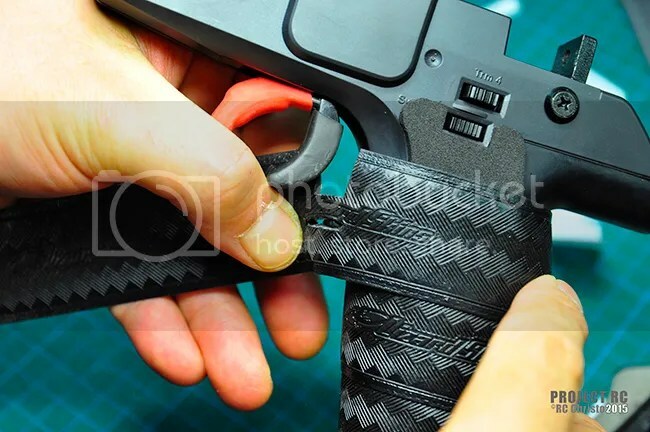 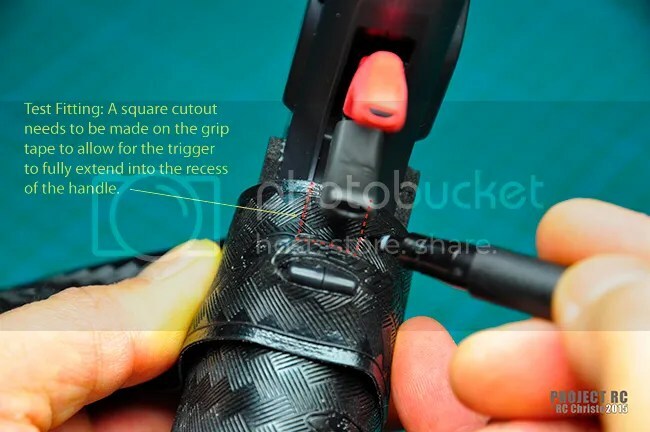 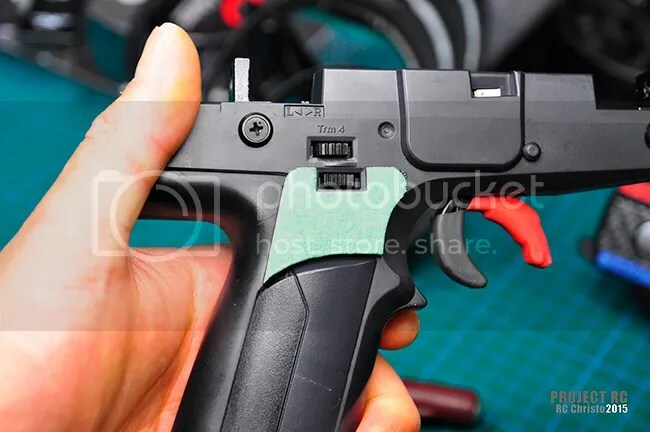 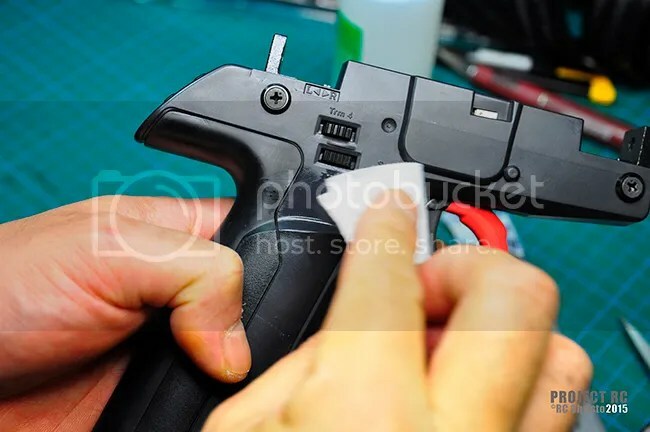 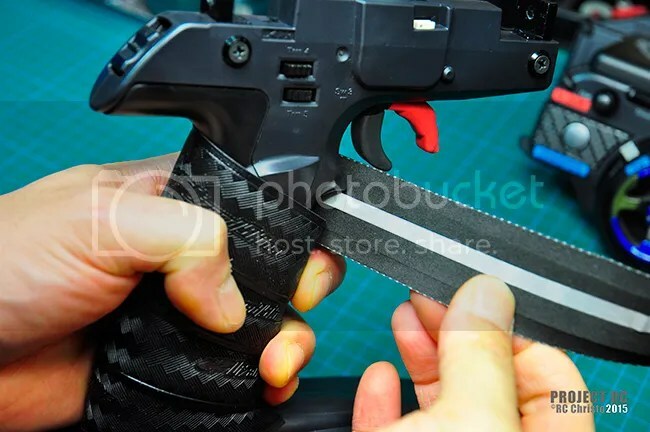 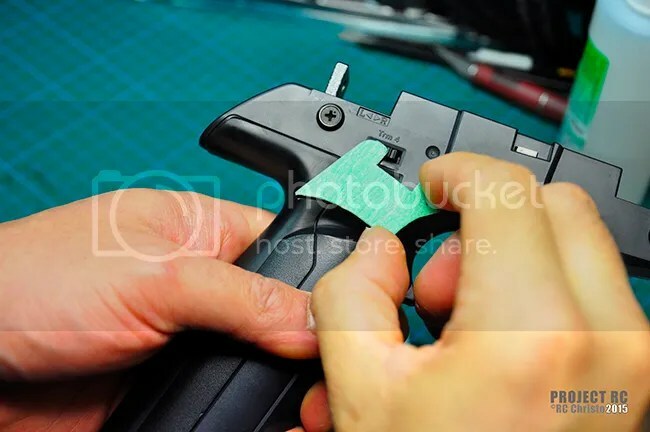 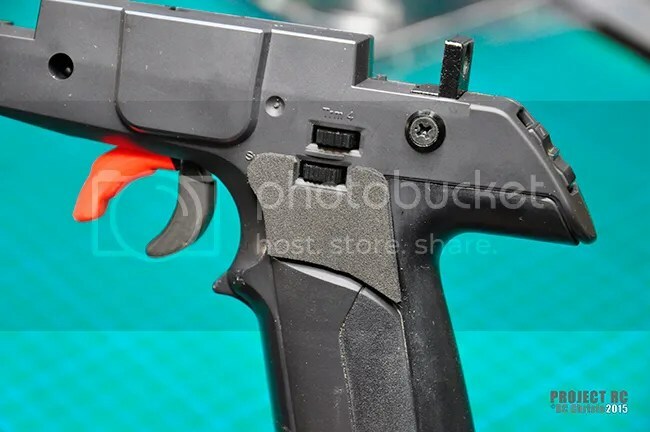 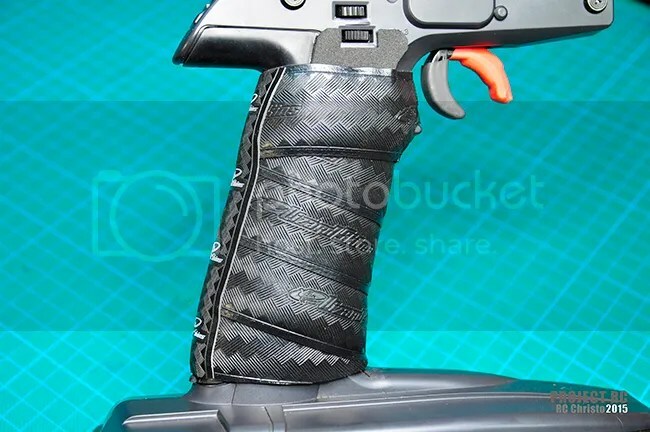 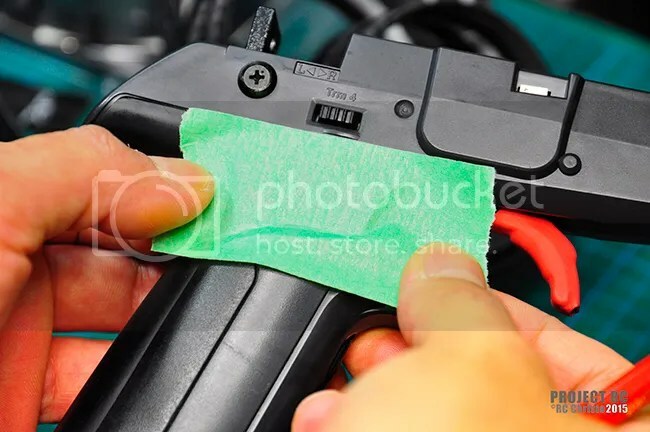 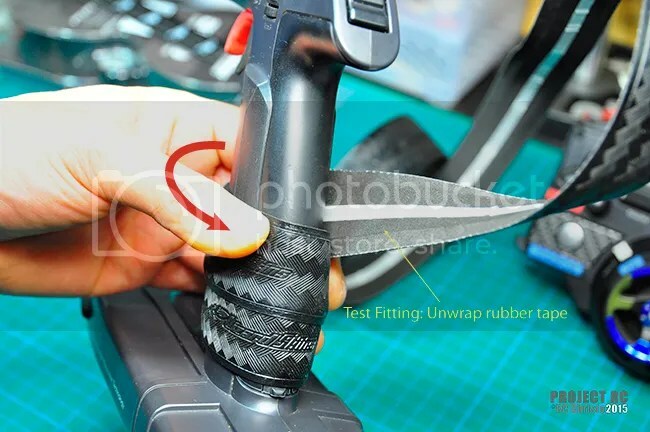 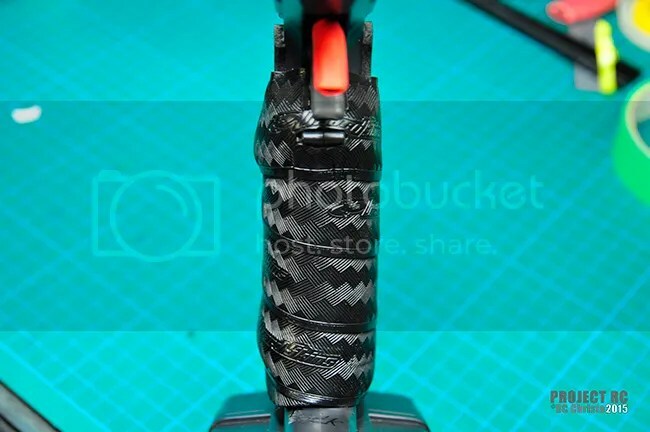 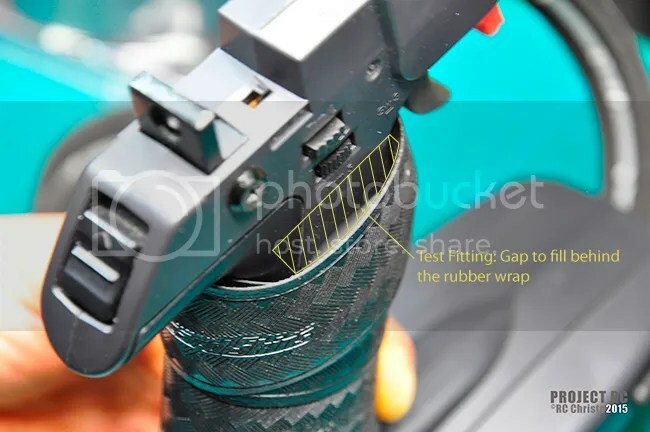 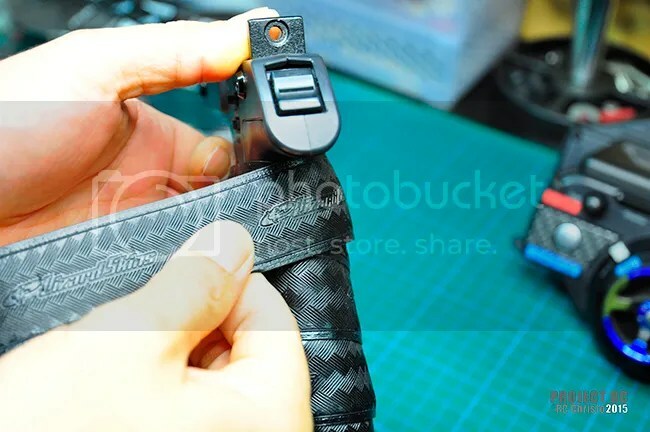 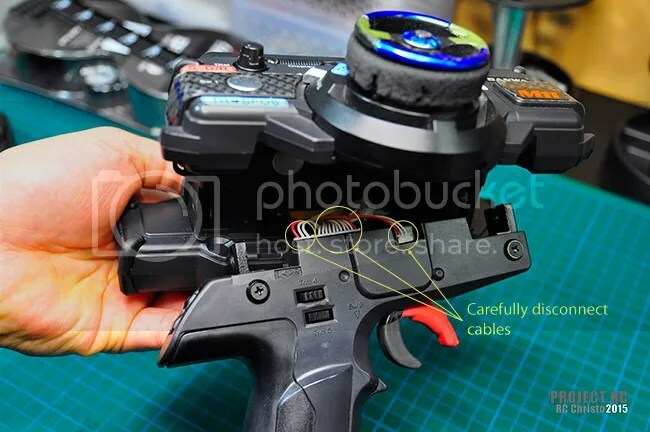 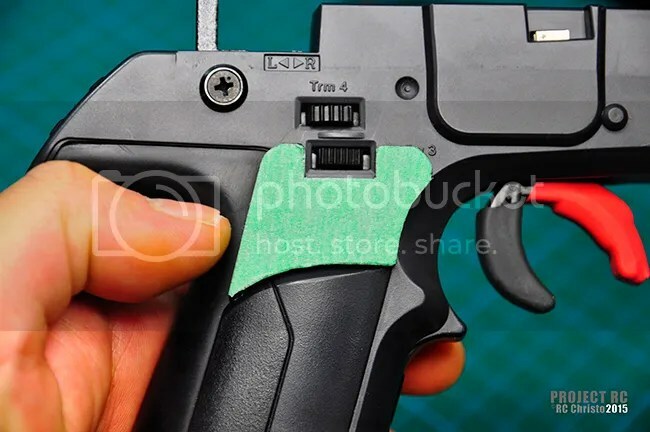 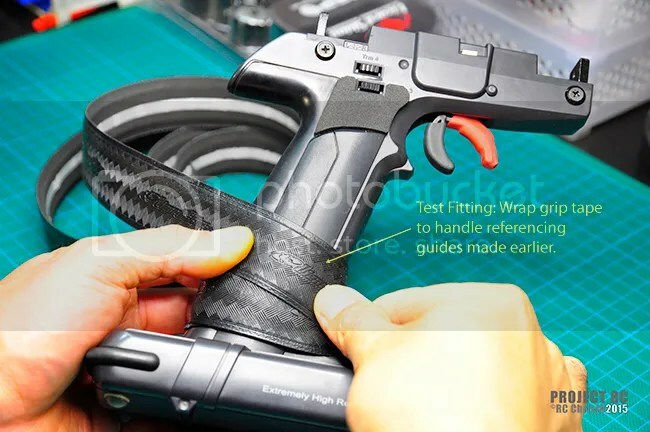 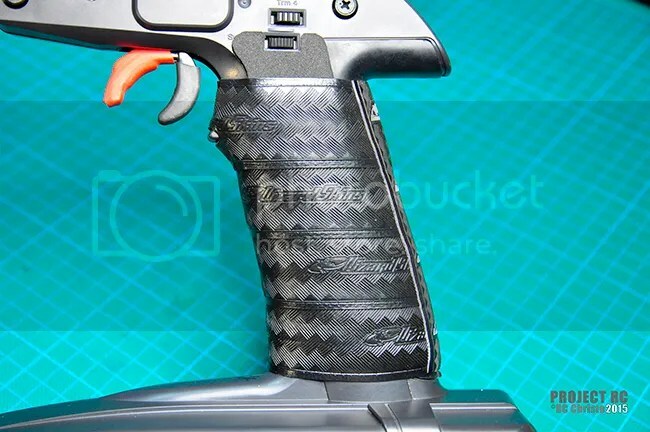 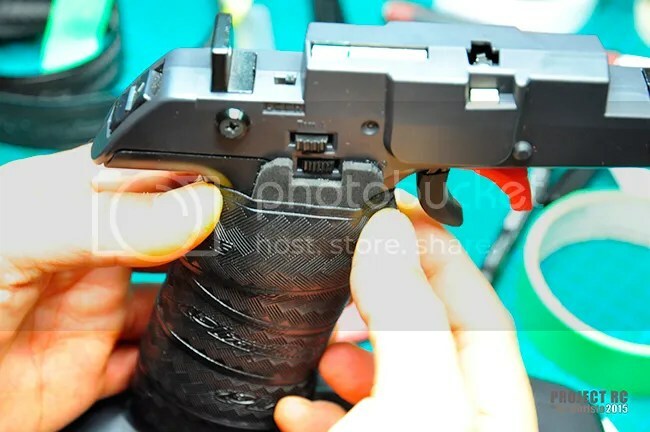 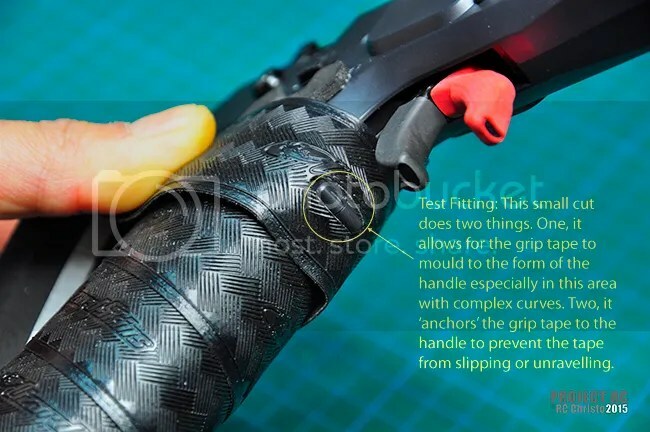 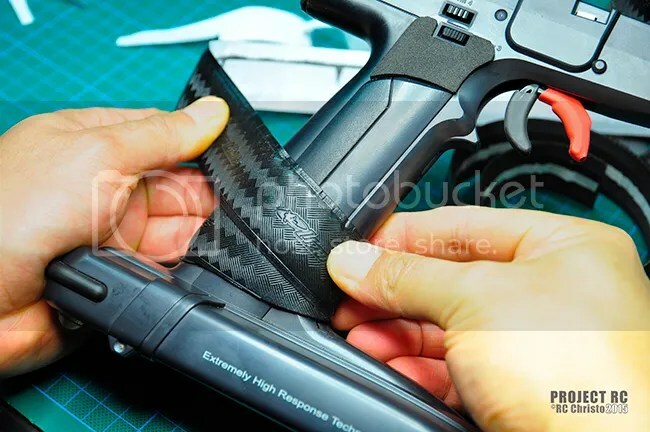 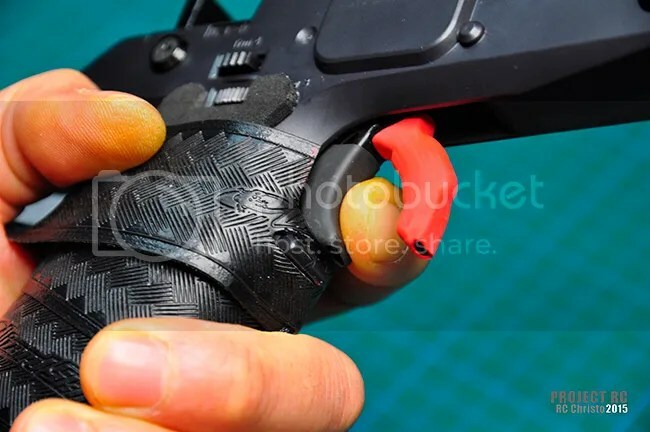 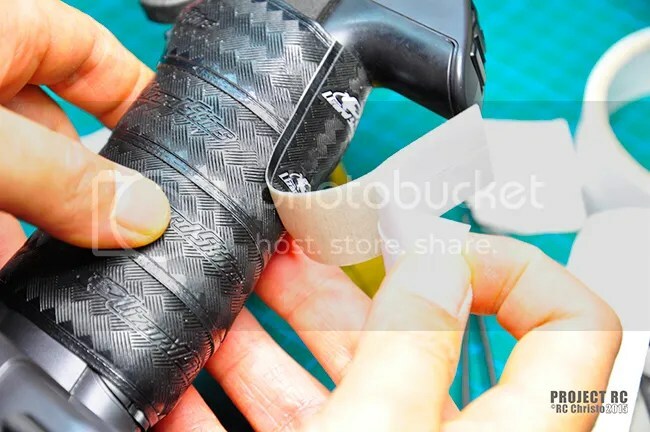 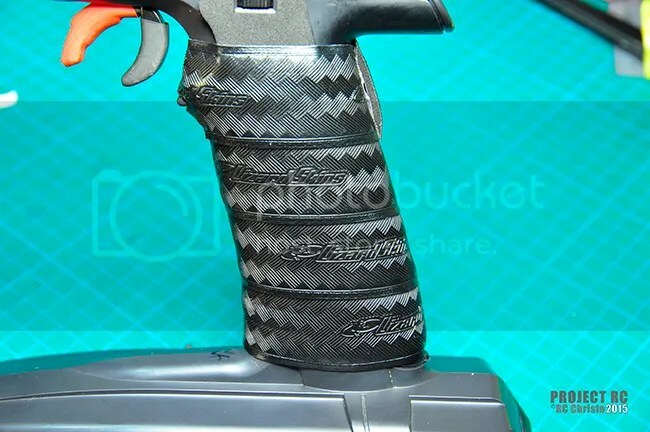 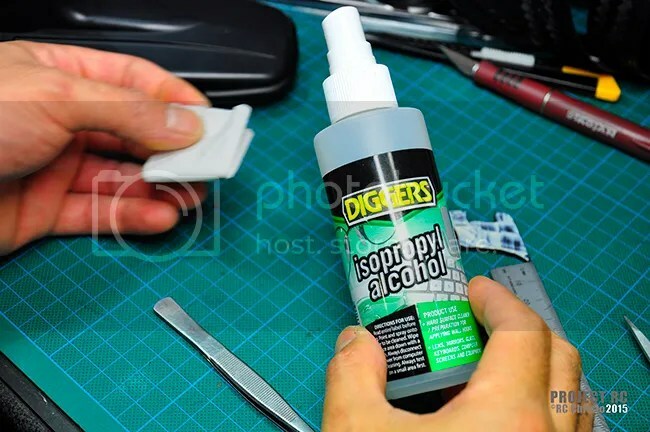 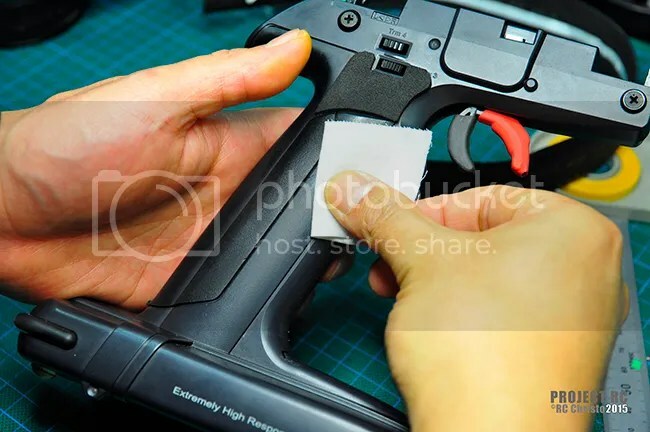 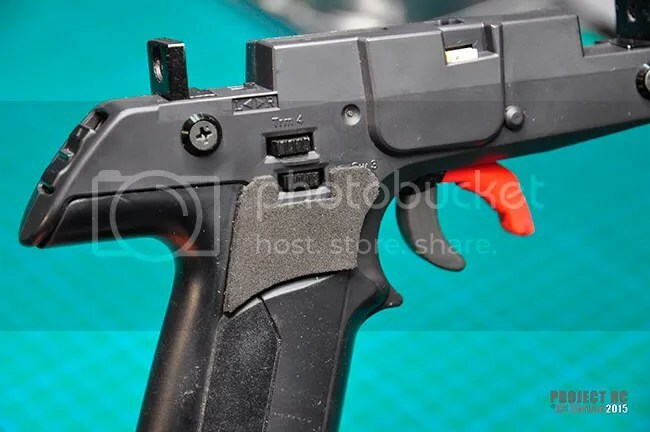 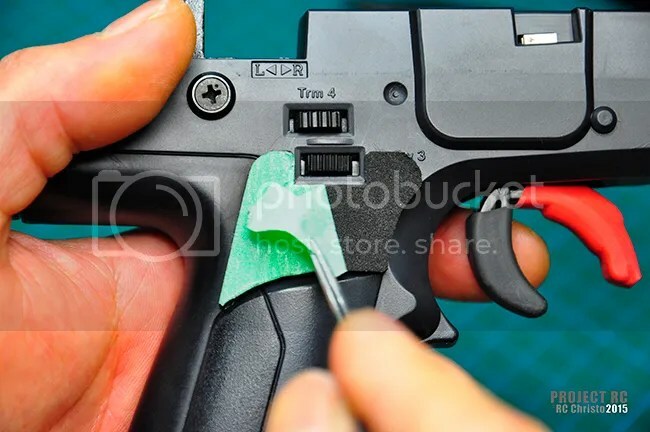 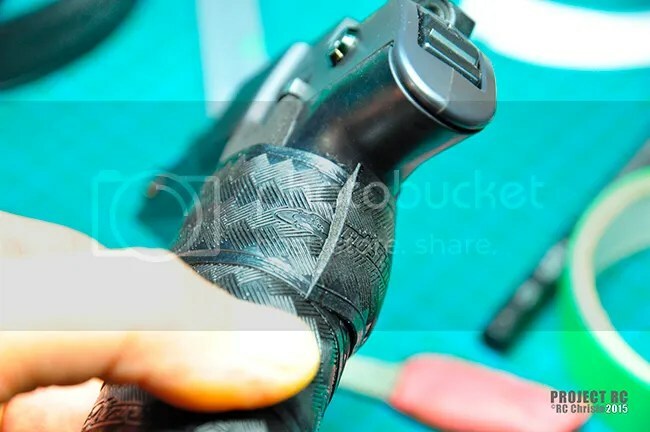 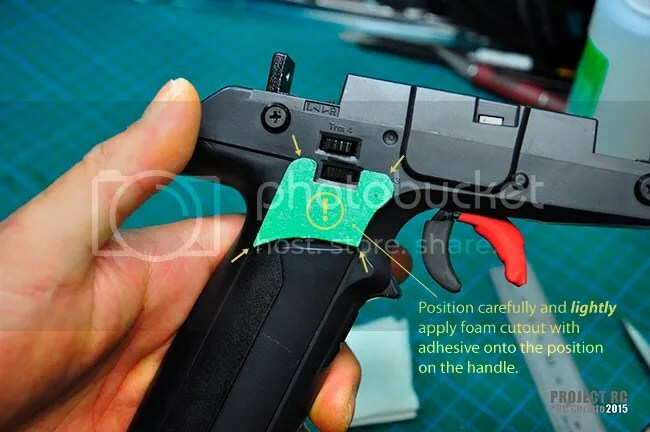 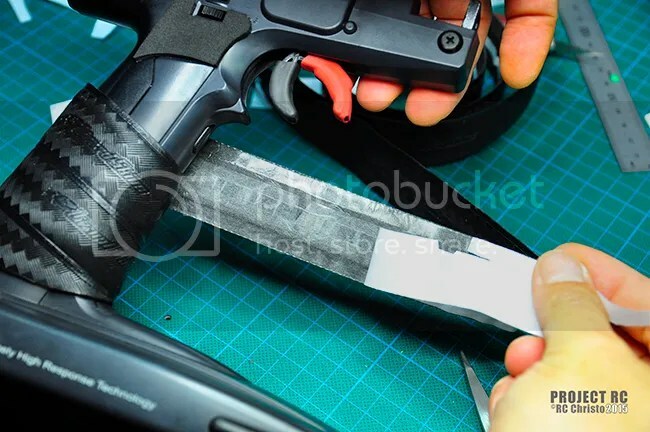 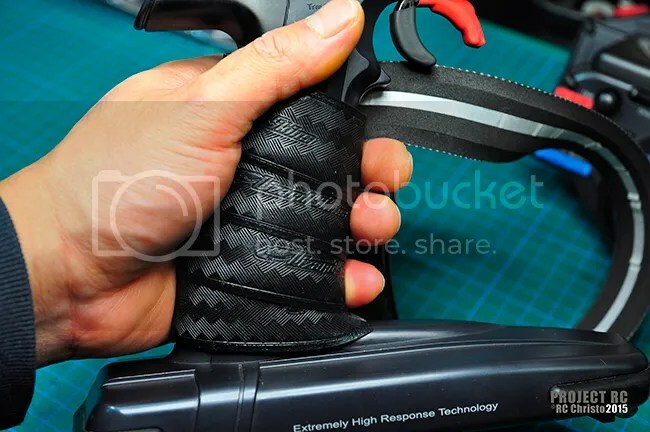 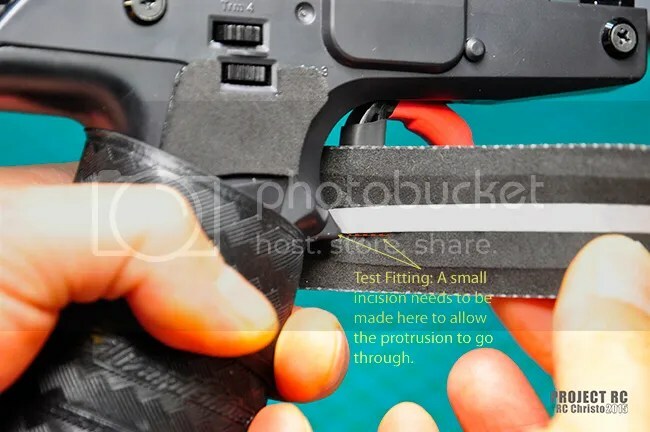 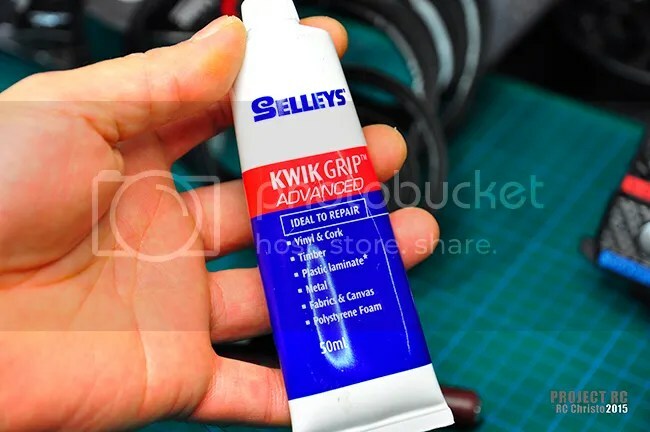 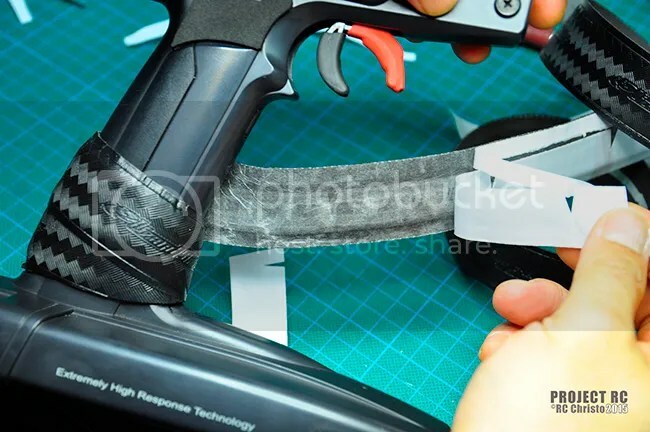 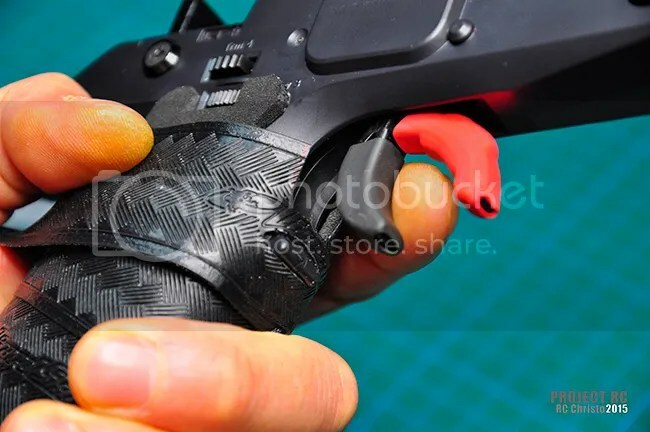 This simple ‘How To’ article is a guide as to how to improve the ergonomics of a pistol grip style transmitter by installing rubberised grip tape that is commonly used to wrap bicycle handle bars. 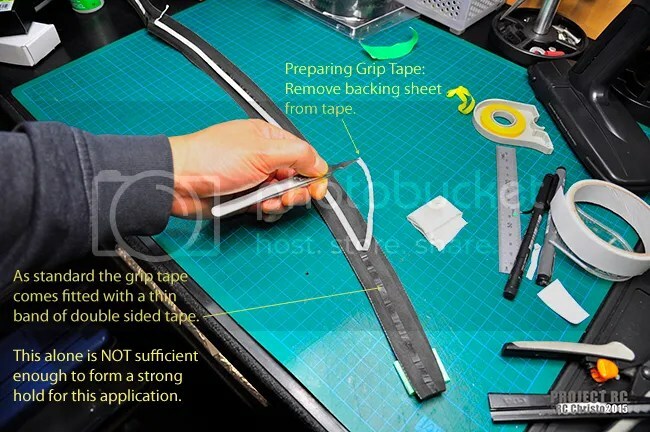 There are many types of handle bar grip tape available on the market and other brands besides the one used in this guide can be used. 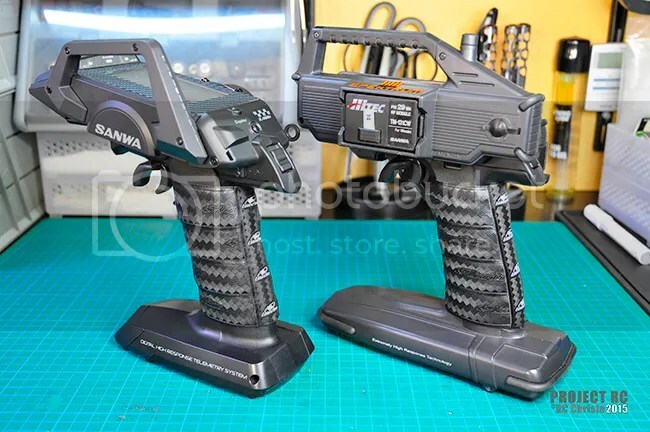 I often found the comfort and feel of pistol grip transmitters to be lacking, especially when using the transmitter for extended periods of time. 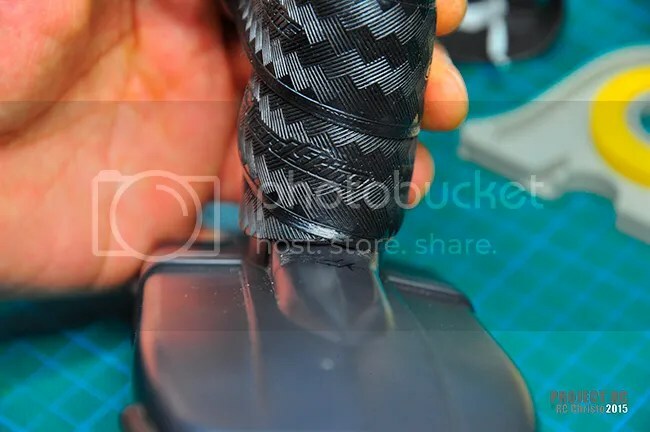 I found that my hand would slip through perspiration or the general feel would become uncomfortable due to ridges or seams in the plastic handle. 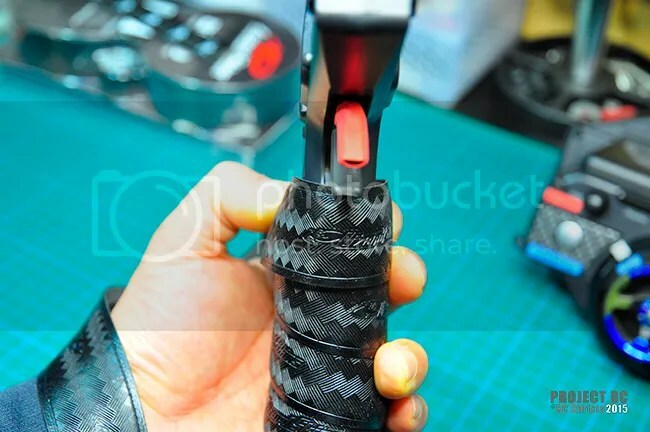 Sometimes I found the thickness of the grip to be too small or too rounded and found myself overly gripping the handle. 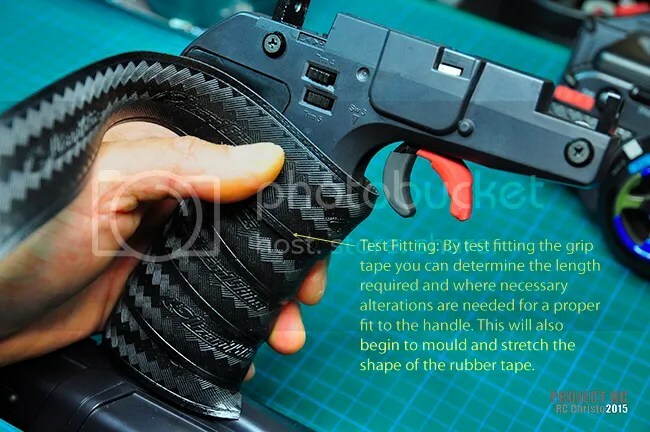 The same thinking could be compared to using a thickly padded steering wheel on a real car versus a hard thin steering wheel. 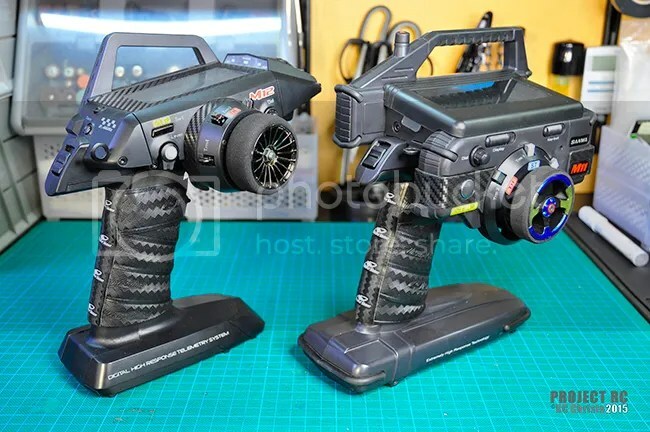 I experimented with a few different types of grip tapes over the years with my older transmitters, some worked well and some not so. 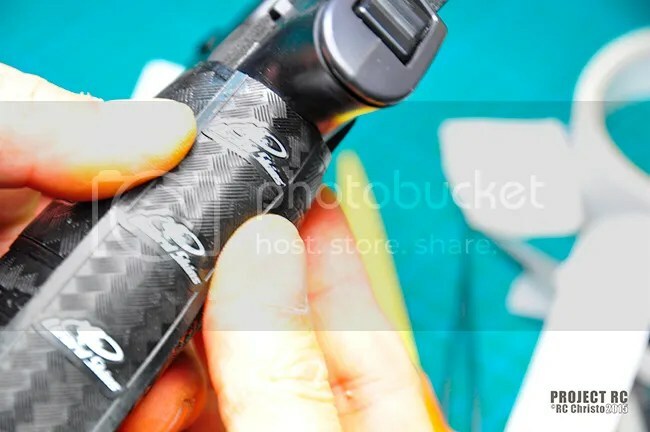 I also tried using tennis racquet grip tape which was ok but over time found it to be slightly too hard. 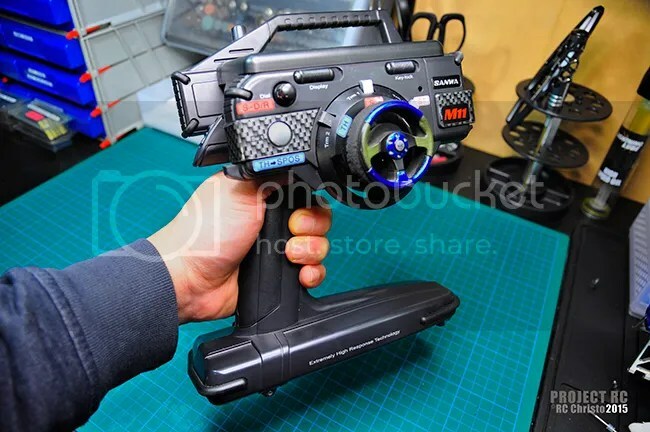 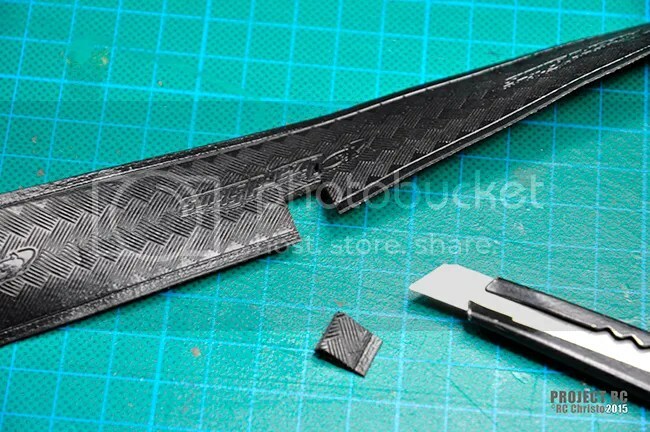 A few years ago I found that Sanwa made a dedicated grip tape for their transmitters which I tried but found it to be too thin to really make any difference to the feel of the transmitter and the overlapping edges to be uncomfortable. 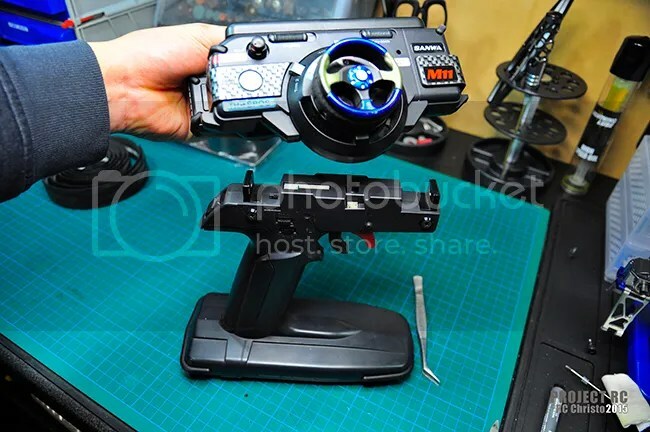 I was searching for a similar feel to the thick steering wheel in my actual car. 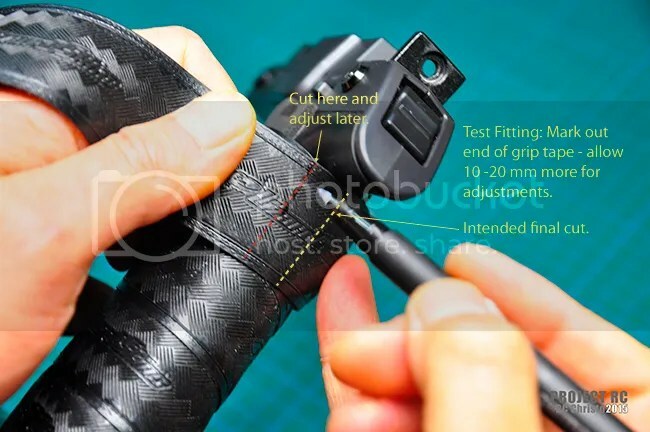 I stumbled upon a bicycle grip tape made by Lizard Skins who manufacture bicycle accessories. 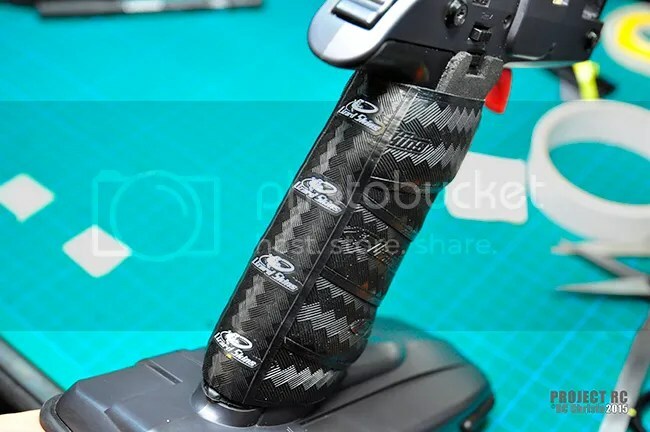 Their grip tape is made of a DSP dual layer polymer rubber and high density foam and comes in three different thicknesses, 1.8mm, 2.5mm, and 3.2mm, and five different colours, black, white, red, blue, grey. 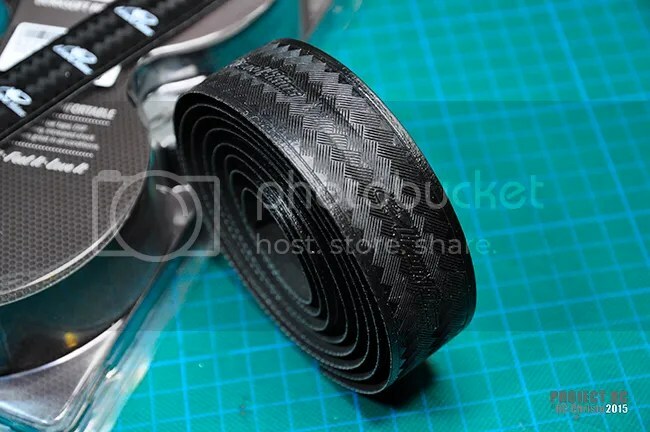 They come in a pack of two 2260mm (89 inch) rolls with some rubber finishing strips and handle bar cap ends. 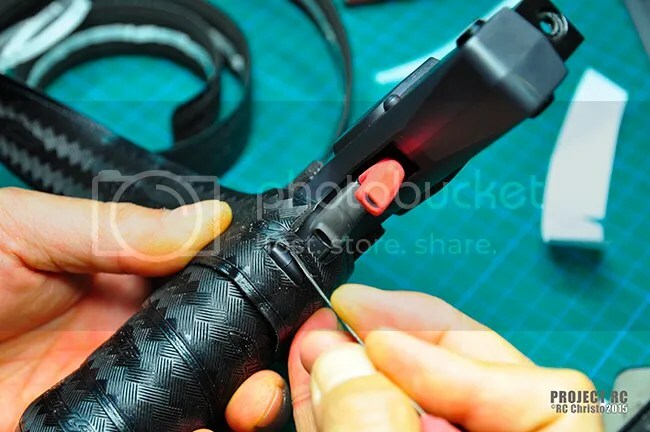 One roll is more than enough to wrap three transmitter grips, so one pack will comfortably wrap six grips. 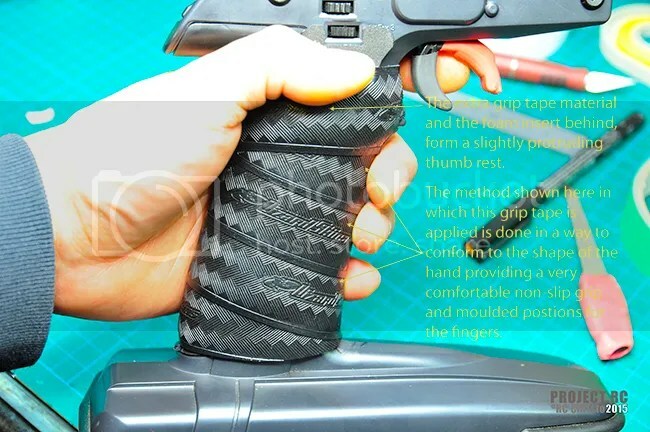 I found these grips to be outstanding in terms of comfort, feel and durability in all conditions. 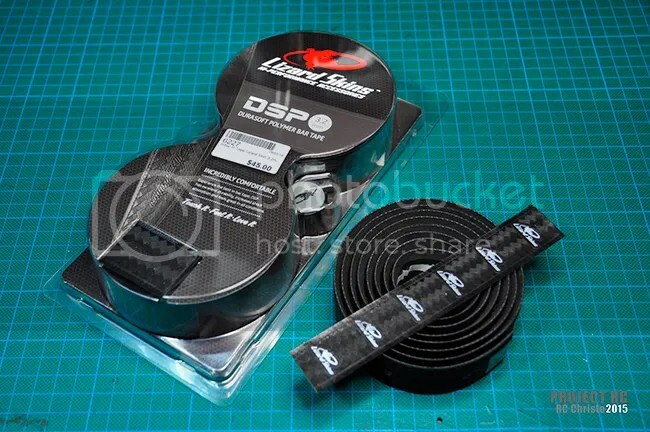 For this guide I installed the Lizard Skins DSP 3.2mm thick, black grip tape on my Sanwa M11. 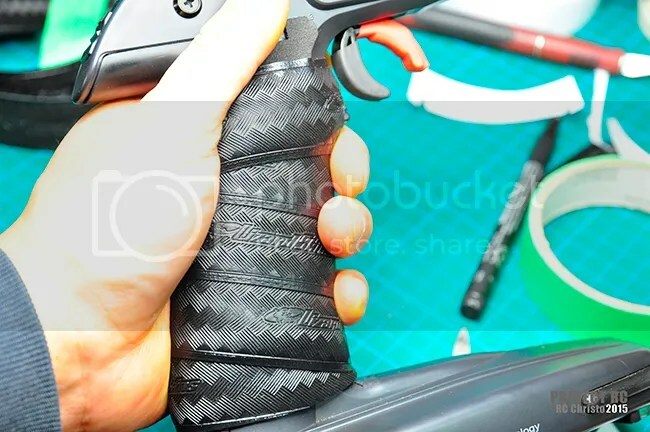 I have installed the same grip tape on my M12 some time ago and it has performed extremely well over time. 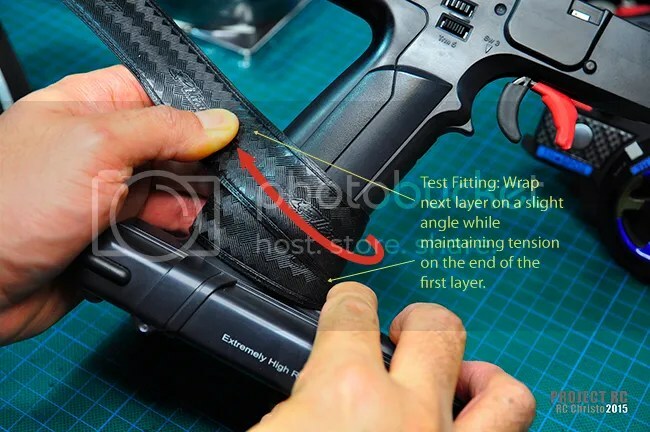 Since most pistol grip transmitters have a similar shape to the grip the methods shown here can be applied to other makes of transmitters. 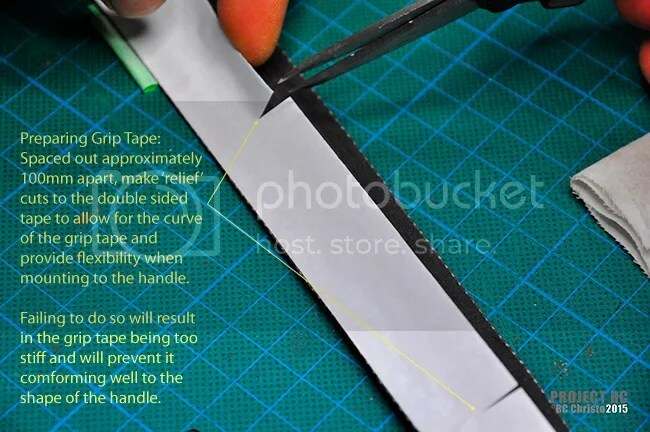 Personally I found the 3.2mm thickness to be ideal for my requirements but others may prefer a thinner tape. 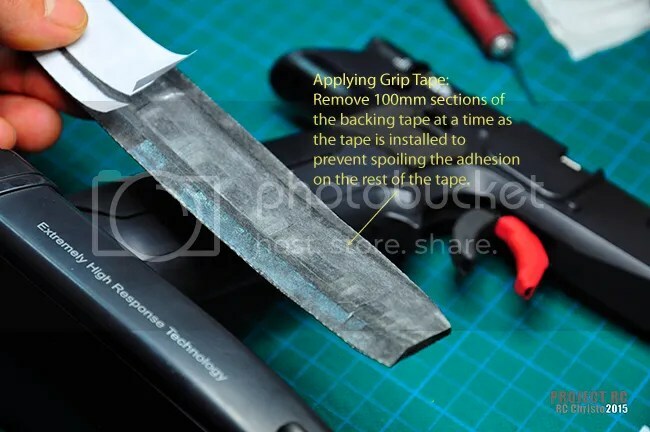 Through trial and error I have a particular method to how I install this grip tape. 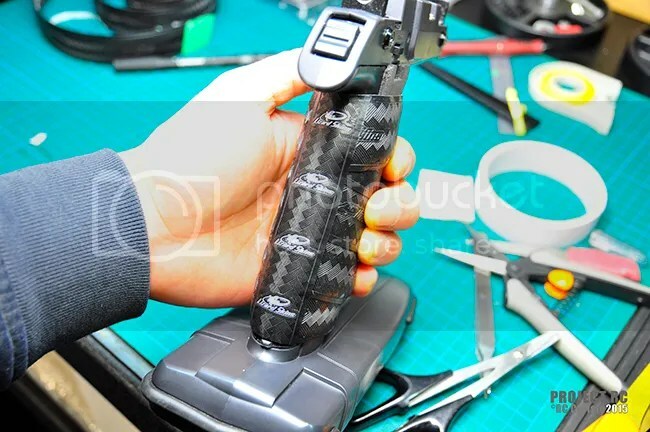 The first stage is to test fit the grip tape on the transmitter to determine the wrap technique and to shape the rubber grip according to the shape of the transmitter. 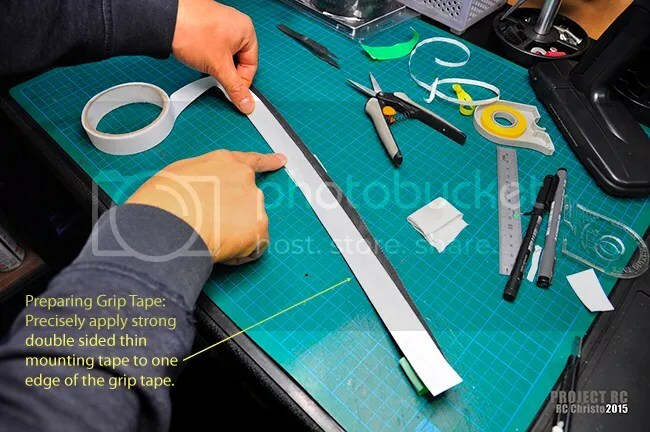 Test fitting will also determine where necessary cuts to the tape need to made before installing. 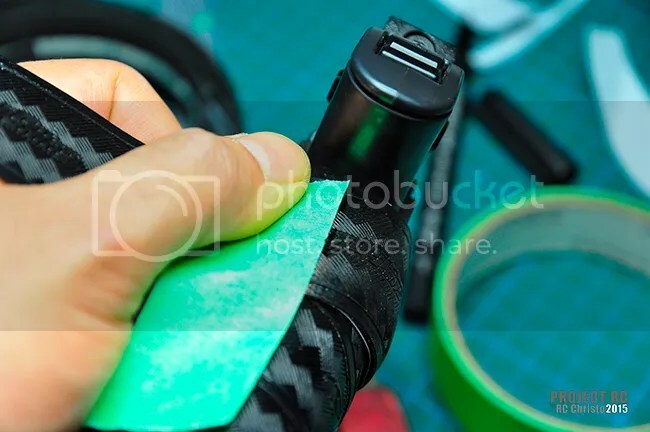 The Lizard Skins grip tape has a very thin band of double sided tape on the installation side which may be sufficient for bicycle handle bars but for this application it is not sufficient enough to form a strong enough hold. 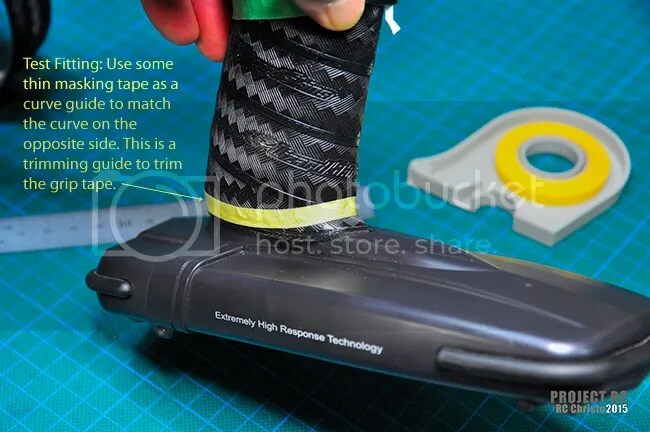 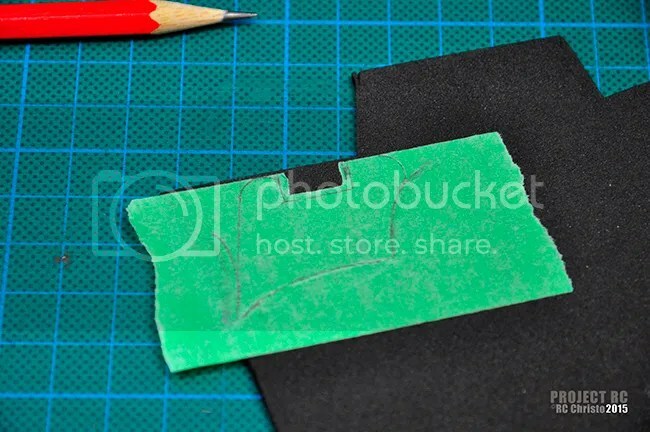 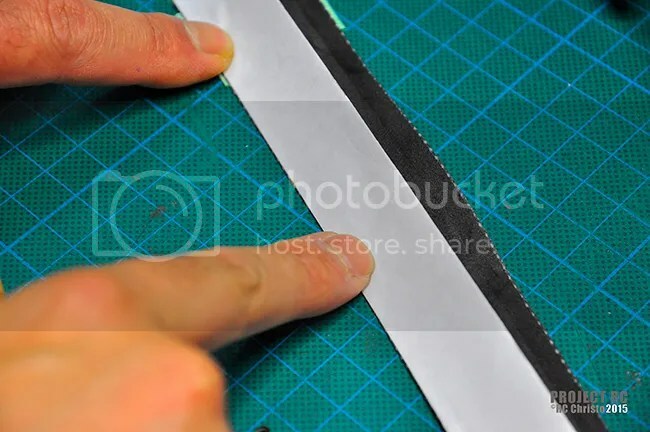 I add extra adhesion to the grip by adding extra layers of very strong double sided thin mounting tape to the mounting surface of the grip tape. 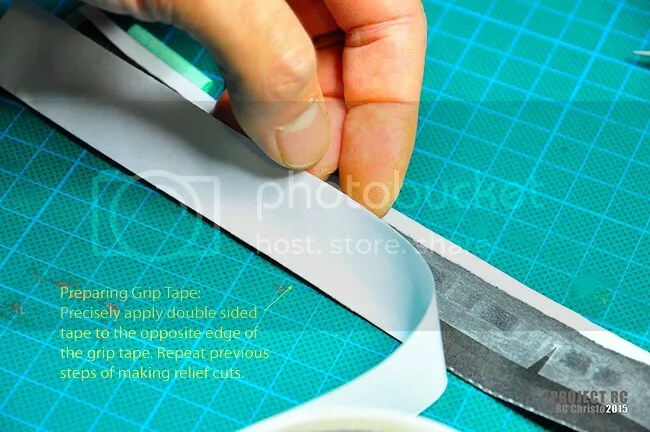 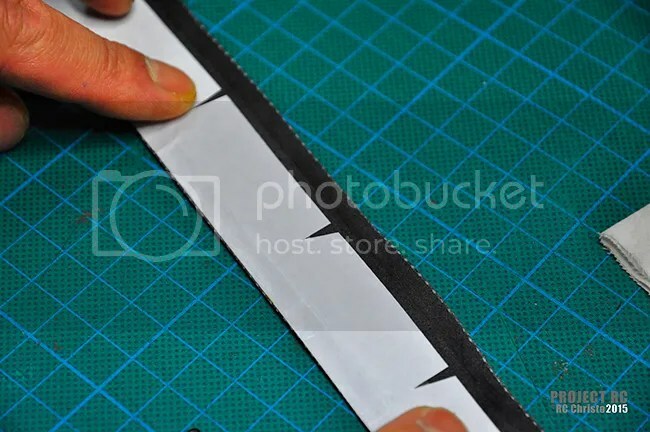 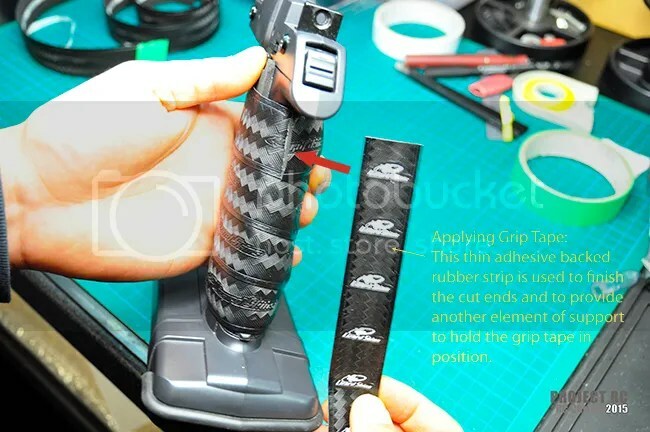 Due to the nature of the grip tape material, it will not conform to very acute or sharp shapes so some gaps may be left between the grip handle and the covering grip tape. 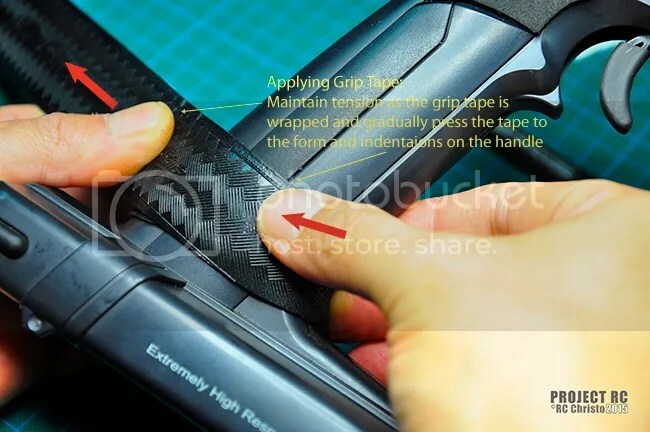 To add to the overall comfort of the grip and to add the necessary grip support some materials were added to address these issues. 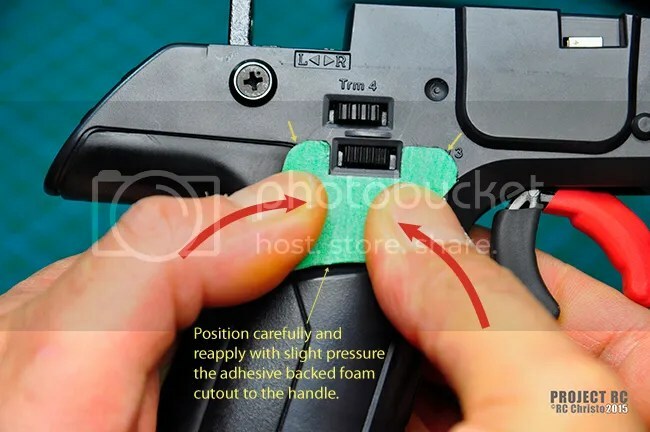 In the upper parts of the transmitter grip there are complex shapes and recesses for the trigger function. 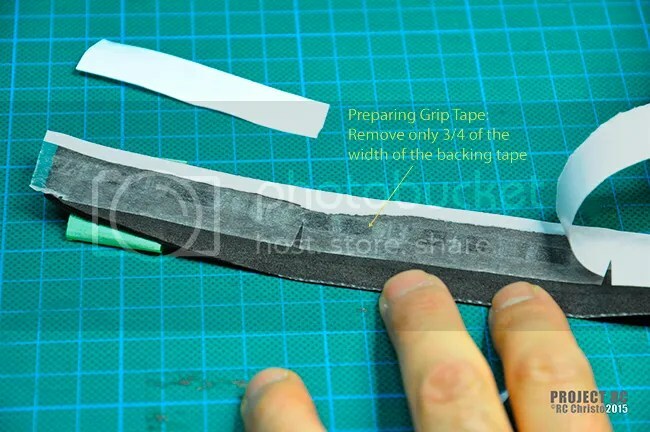 Some incisions and cut outs need to be made to the grip tape to allow for these areas. 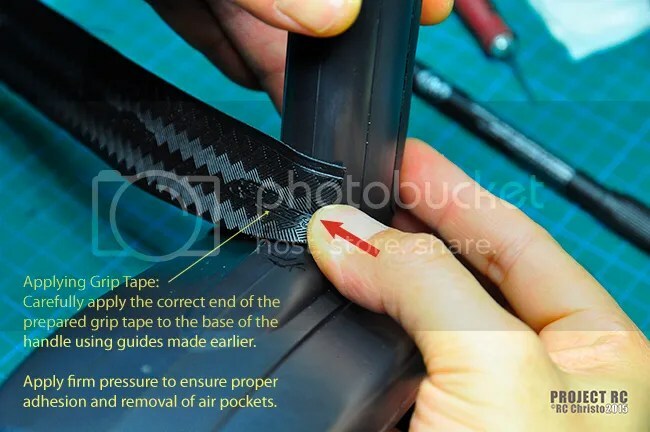 It is important to test fit the grip tape through these stages so that these critical changes can be made before final mounting and adhesion. 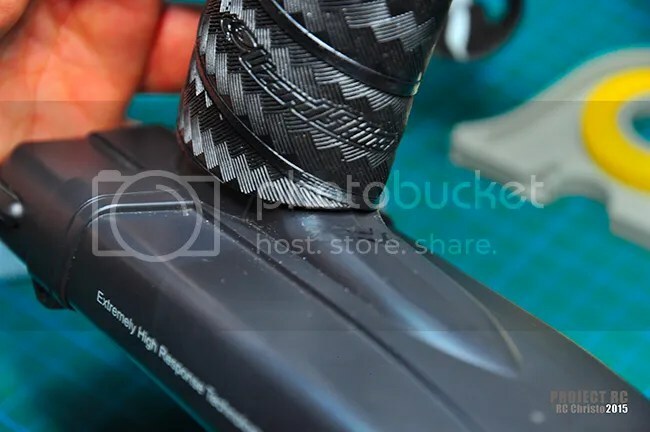 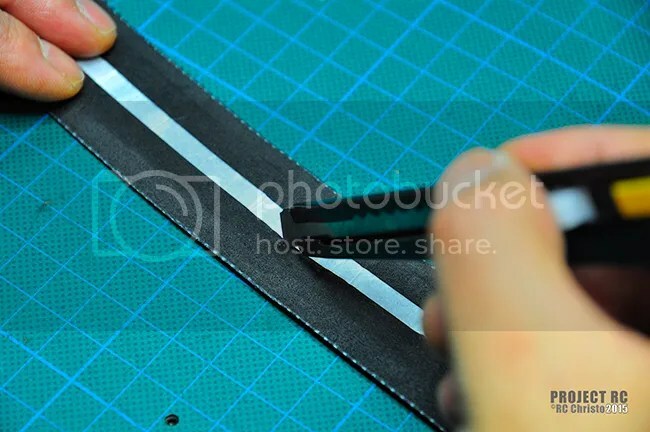 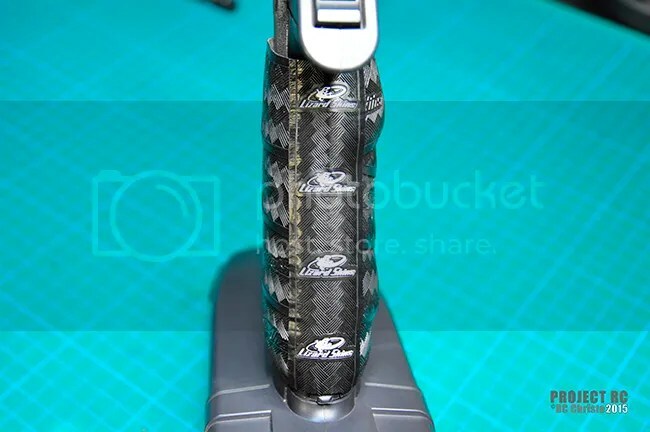 As mentioned in the introduction, the Lizard Skins grip tape has a very thin band of double sided tape on the installation side which may be sufficient for bicycle handle bars but for this application it is not sufficient enough to form a strong enough hold. 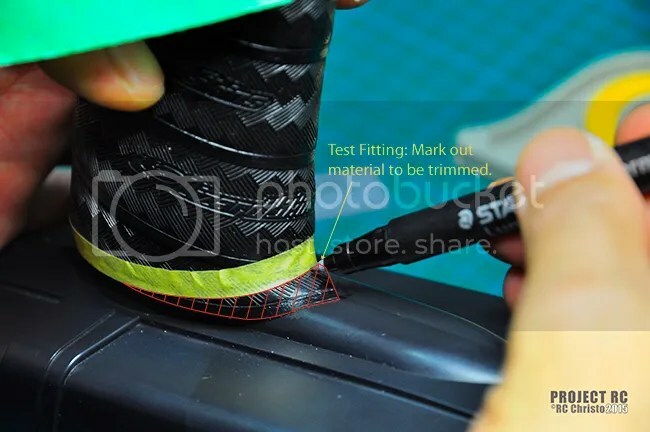 I add extra adhesion to the grip by adding extra layers of very strong double sided thin mounting tape to the mounting surface of the grip tape. 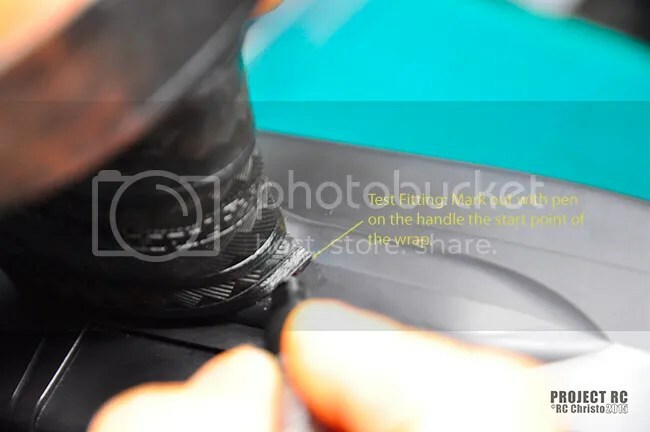 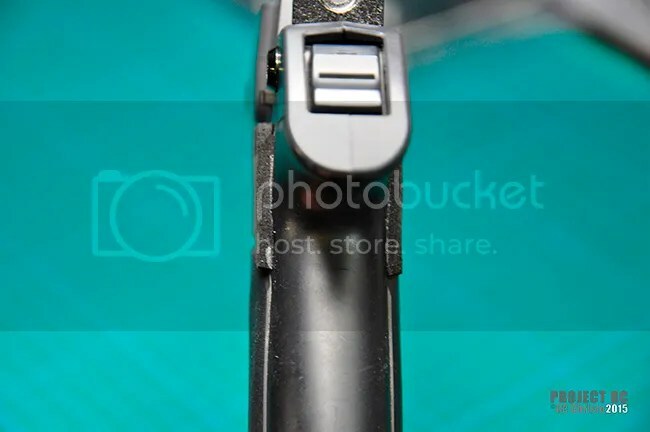 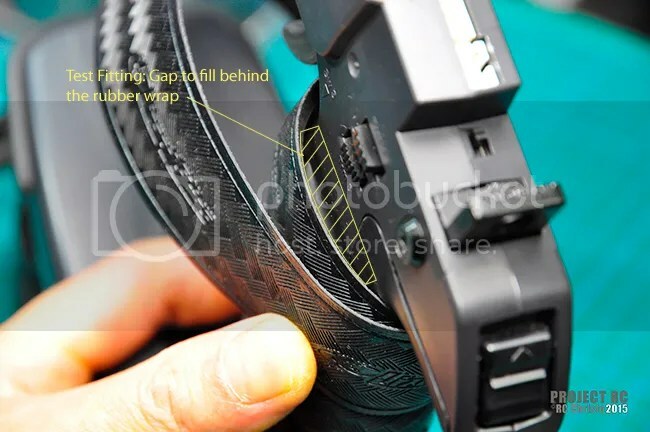 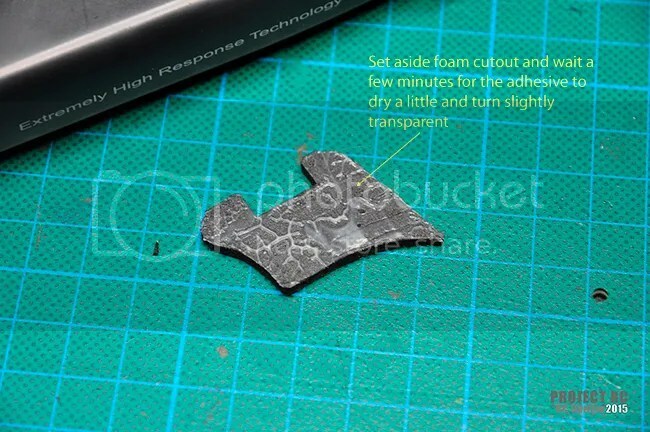 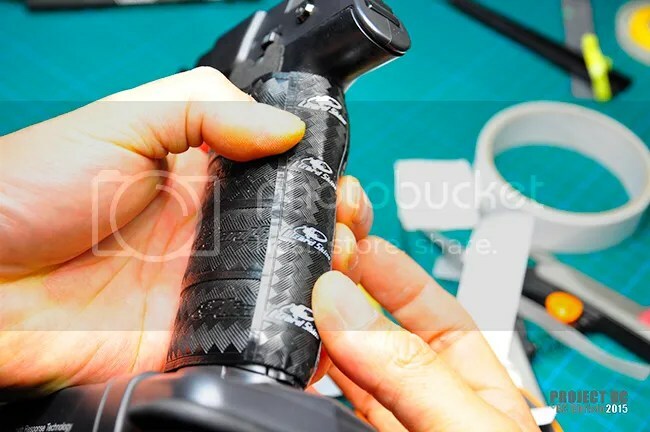 It is important to note that at any time this grip tape needs to be removed after installation due to damage or replacement, it can be done successfully without damaging the surface of the transmitter handle. 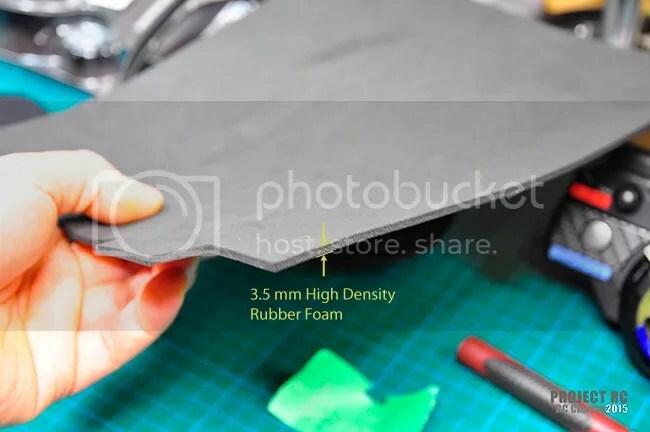 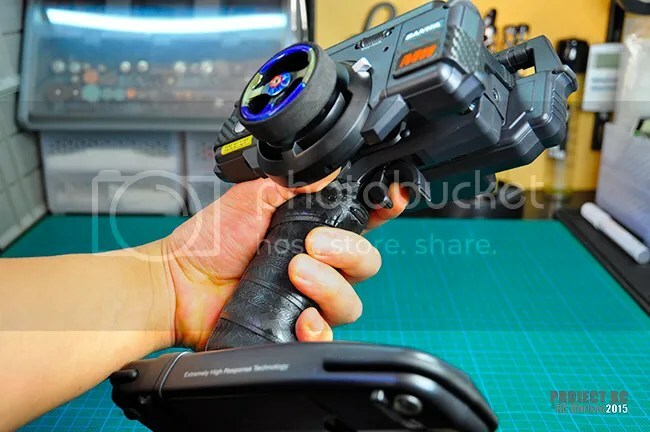 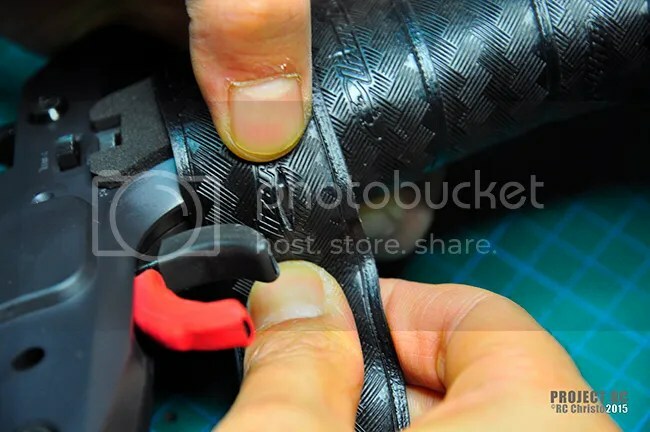 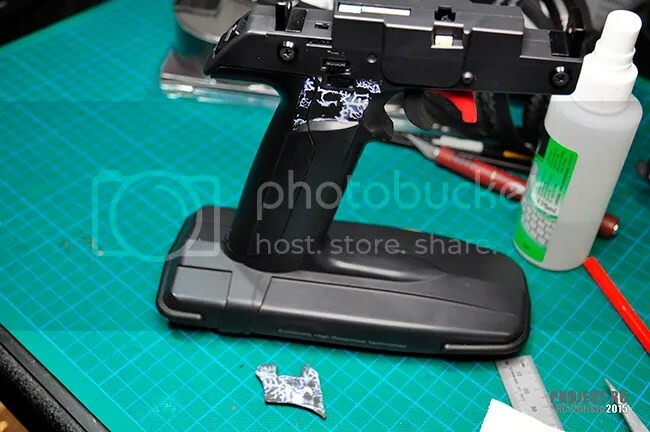 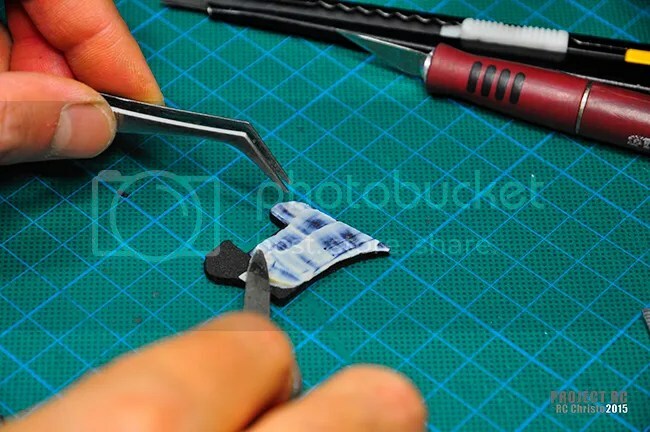 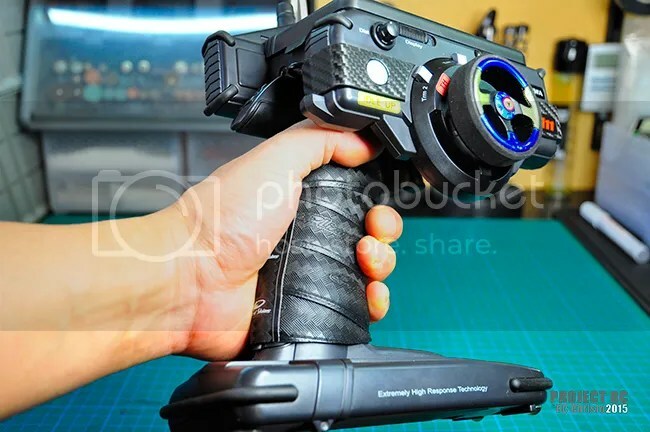 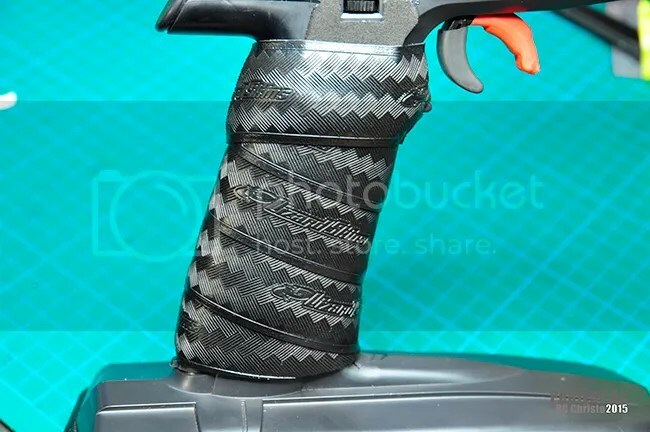 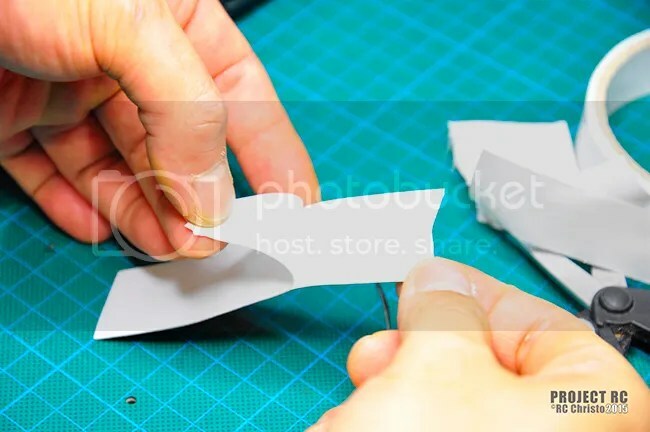 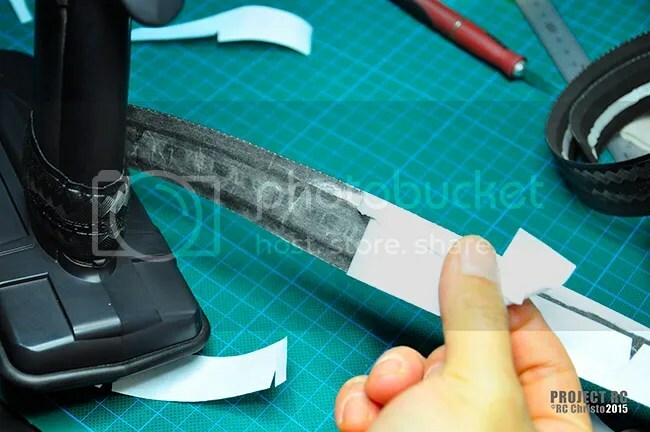 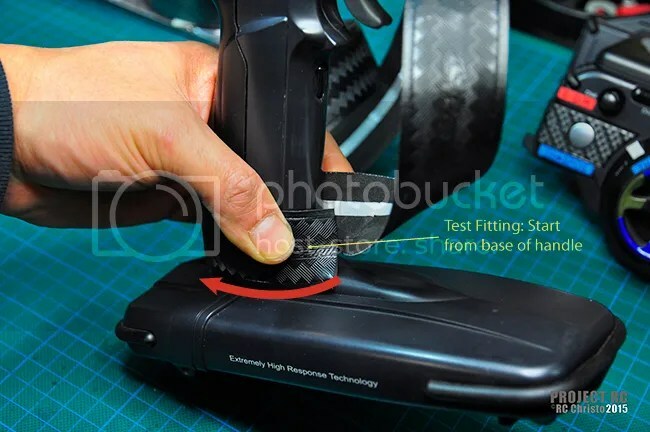 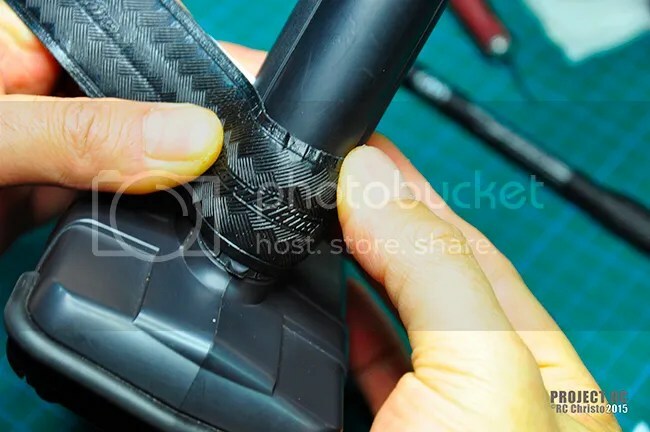 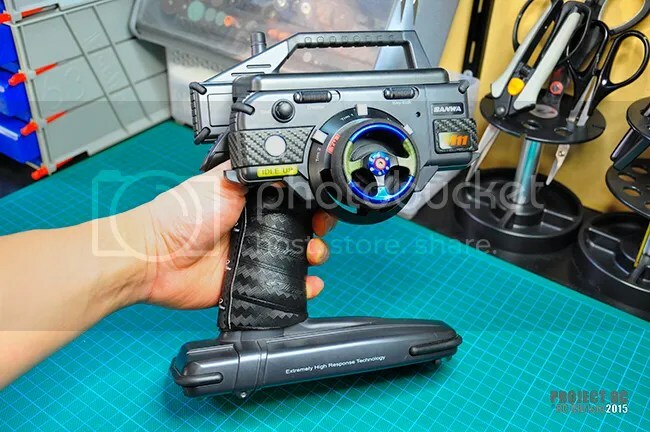 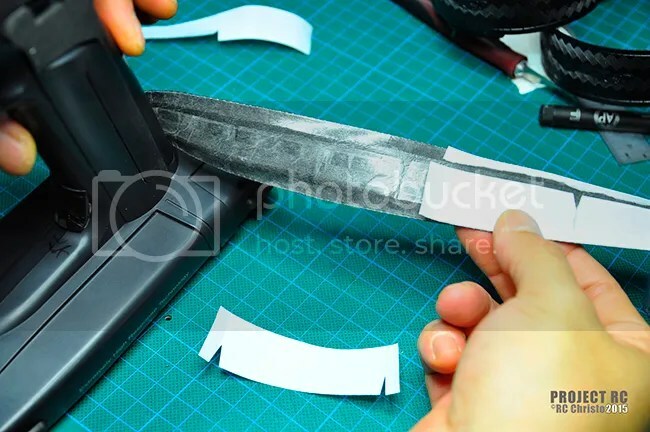 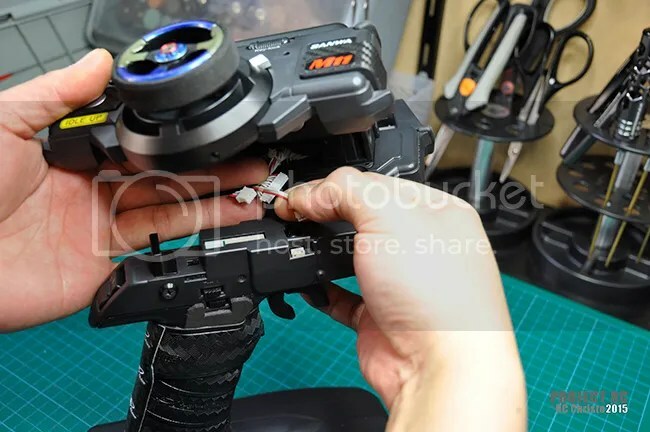 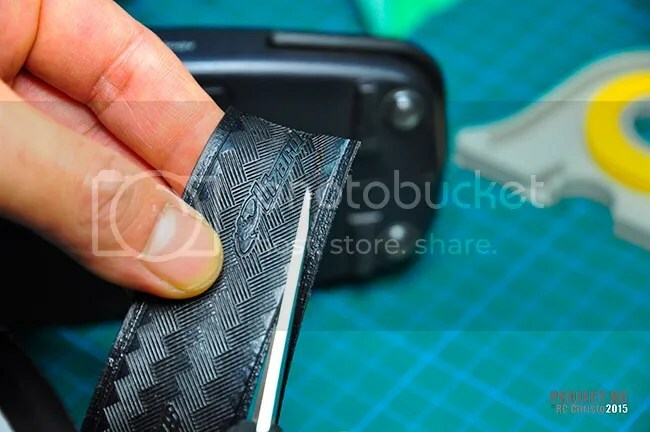 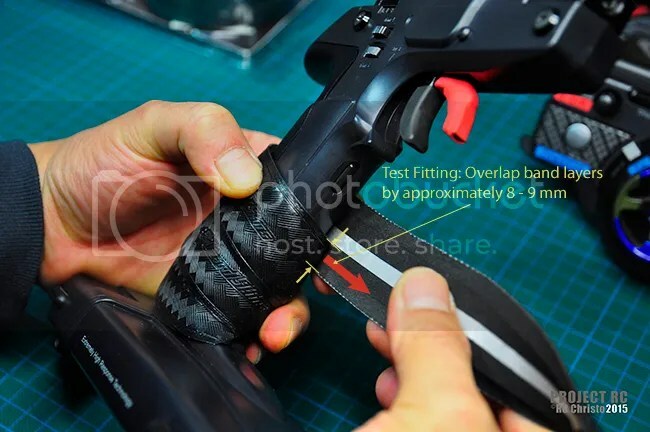 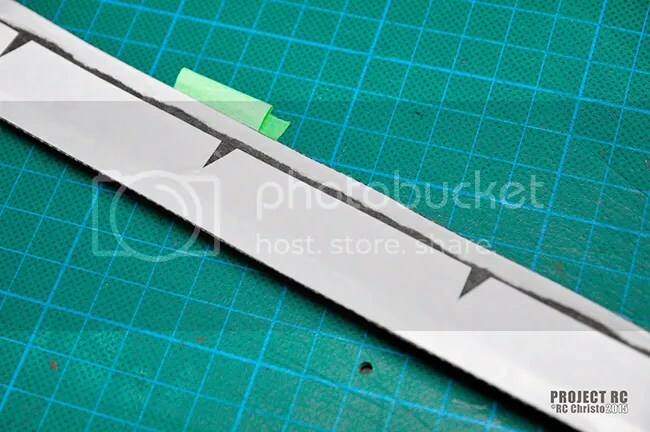 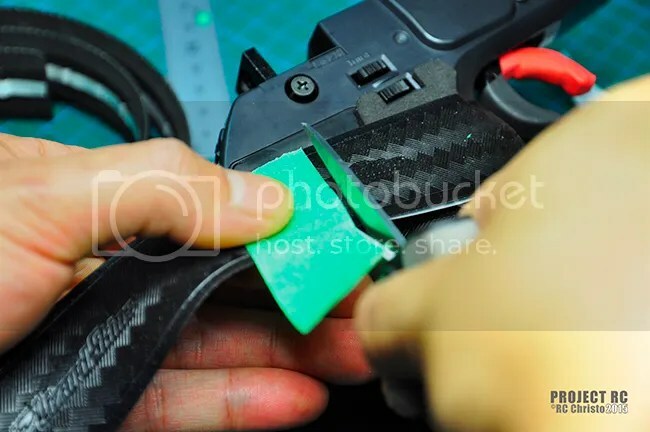 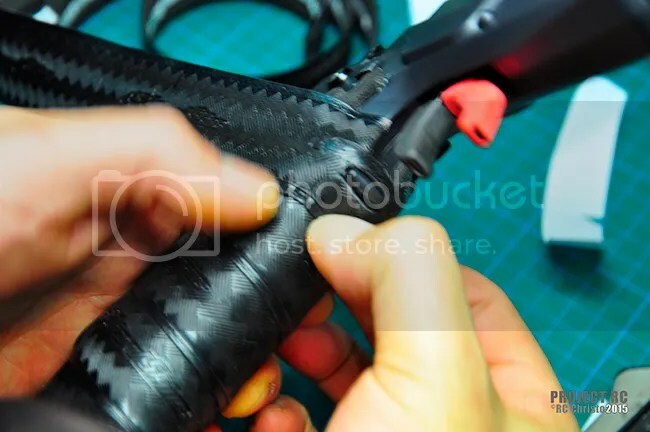 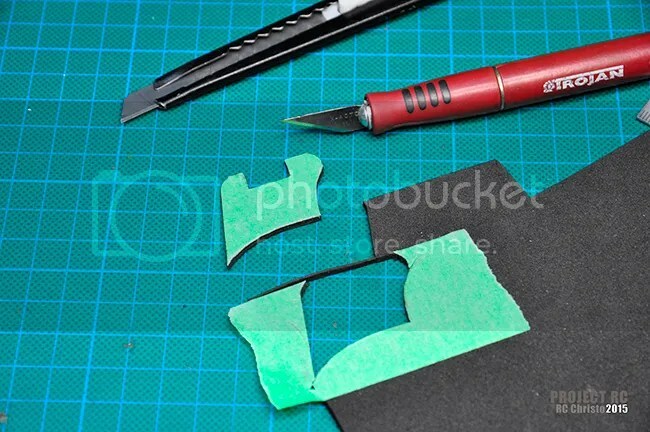 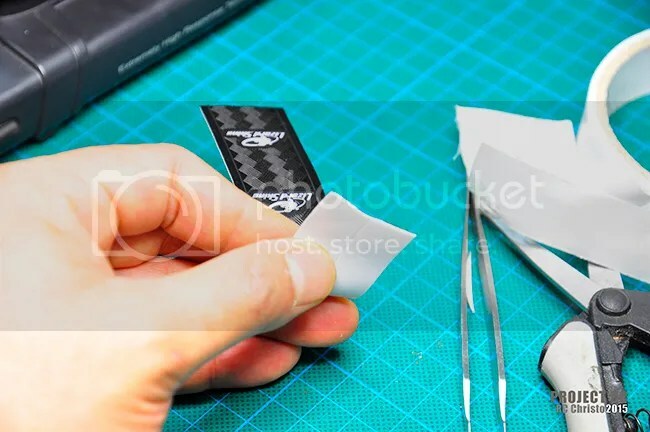 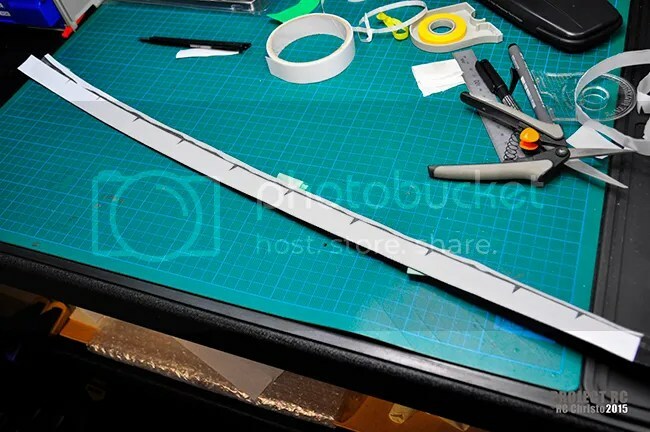 By this stage, as a result of the test fittings, the grip tape will have formed a curved shape that corresponds to the required shape for wrapping the transmitter grip. 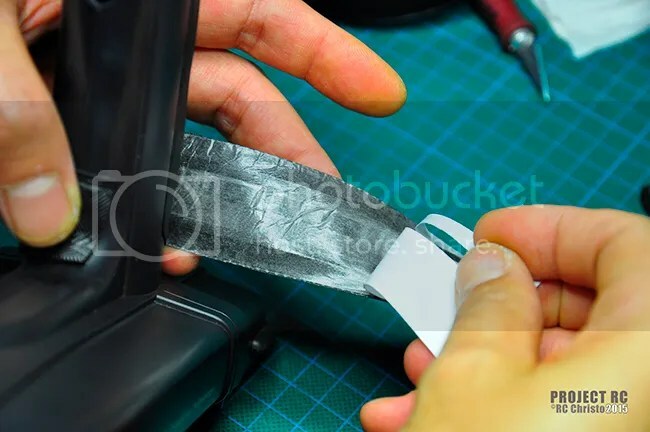 The added double sided mounting tape in the previous stage will hold this shape and will make installation much easier and more precise.